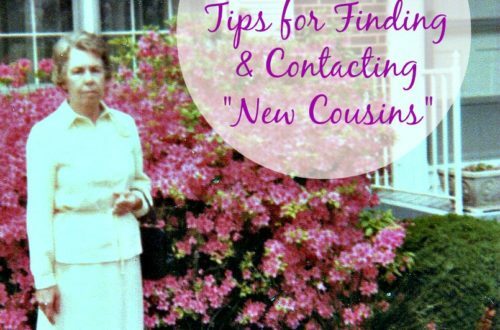 How To Start Researching Your Irish Immigrant Ancestor | Are You My Cousin? Do you have Irish ancestors? Do you have a GG grandmother Bridget (or Joanna or ….. ) who came to America from Ireland? 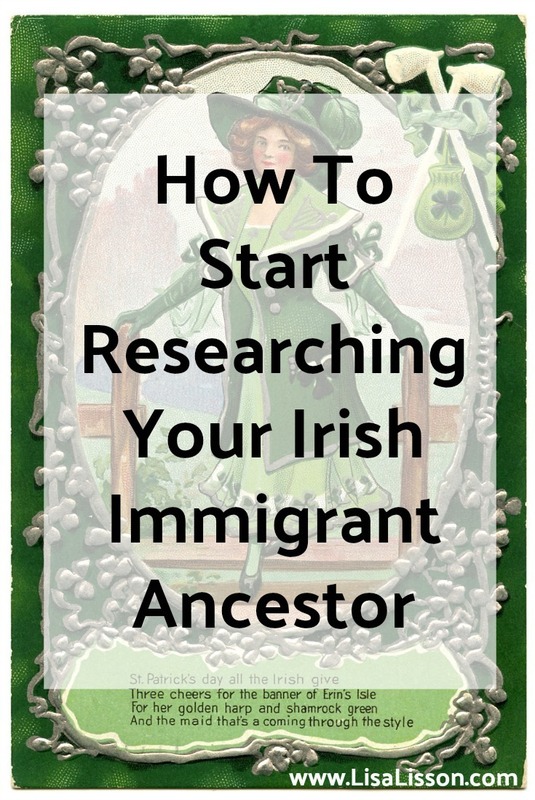 Completely unsure how to proceed in your Irish ancestor research? Many readers’ emails center around researching an immigrant Irish ancestor. Researching their family line has revealed an Irish ancestor. Time to start searching the Irish records to find where they lived in Ireland and when they came to America. Often the information you need to determine what city/town/district (or even country) your ancestor immigrated from is found in their American records. Learn more about strategies to do just this in Where Did Your Immigrant Come From?. Assuming you have researched your ancestor thoroughly on “this side of the pond” [You did, right?! ], now let’s take a look at Irish resources for your Irish genealogy. Irish Catholic Parish Registers at FindMyPast – This record set is FREE and found under the Free Records tab on their homepage. Ancestry.com’s Irish record collection. ($) Several Irish record sets are FREE including Ireland’s 1901 and the 1911 census records. The National Library of Ireland – A great resource for starting your Irish genealogy research. Be sure to visit the “Getting Started” page to well…..get started. The National Archives of Ireland – An excellent resource of Irish records and history! General Register Office (GRO) – Birth, Marriage and death records from 1864 and forward. The GRO holds some non-Catholic marriage records from 1845-1863. 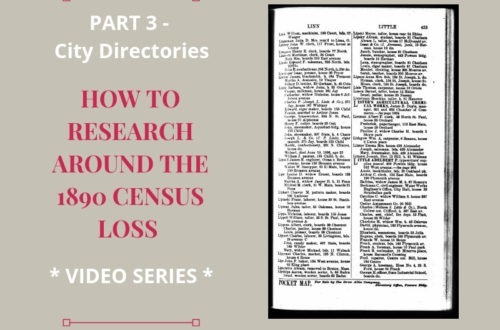 Find an index to these records on Irish Genealogy.ie . Irish Genealogy.ie – Another great resource with information on getting started with your Irish genealogy research and explanation of records available. 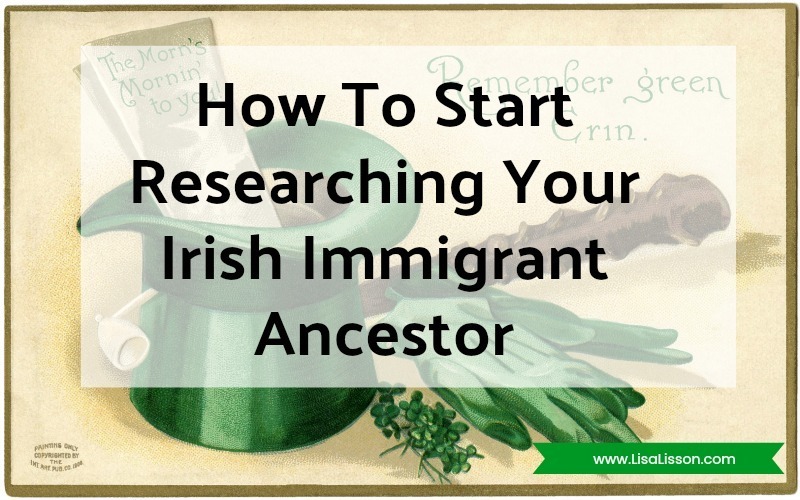 This list is a “get you started list” when it comes to researching your Irish ancestor(s). Do you have a favorite source for researching Irish ancestors? Let us know in the comments below! As you prepare to take your genealogy research back into your ancestor’s Irish homeland, create a research plan. From your previous research of your ancestor, determine what exactly you want to know. Plan how you will access the records you need. 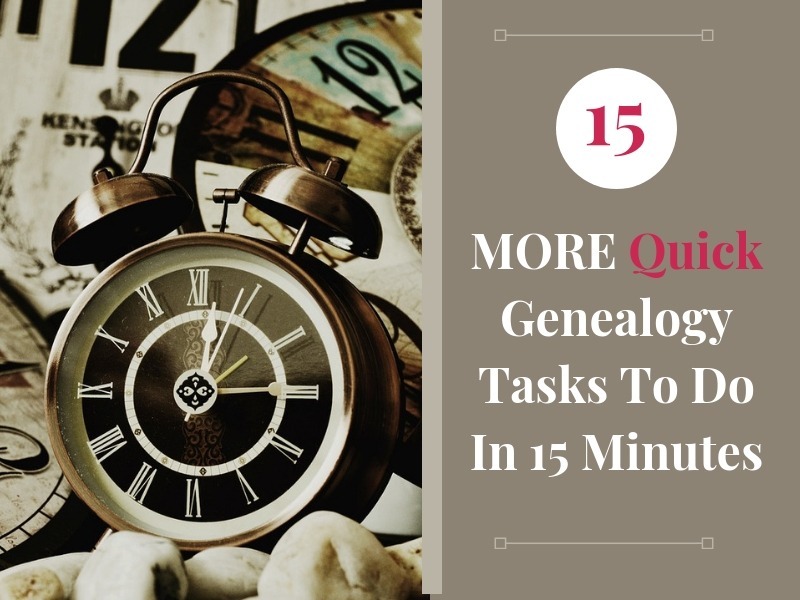 Will you take advantage of a free trial to FindMyPast or Ancestry.com? Will you need to order vital records from the GRO? Analyze the records your find …… and don’t find! Start the process again as needed. Where Did My Immigrant Ancestor Come From? My two Irish ancestors names were Jeremiah Ford (a very popular Irish name apparently) and Noppie Fallon. I have Noppies (she went by the name Abbie here in Ohio, where her family settled) paperwork from when she arrived here in the states in 1849. The problem is, all the research I have on her just says Ireland. Being that Fallon and Ford are both very common surnames, and Noppie is a ‘familiar’ name or nickname for about a dozen other names, I am stumped. If you search for Noppie you get nothing, if you search Abbie, you get hits, but I know this is not her. And because when her kids were baptized in the Catholic Church they use your given name and hers reads Noppia Fallon on some, and _______ (blank) Fallon on the others. I am assuming that even the priest was stumped on her name. I have researched the family and their children and acquaintances, etc. I just cannot seem to get over the brick wall of what county in Ireland, exactly, I should be looking in. With Irish genealogy, I find that the counties are the first thing you need to know. Any ideas? Thank you for all the tips and links. Jacki, you might try looking at the area where they settled. Research any possible migration patterns into that area. You might find one or more Irish counties. Look into the Catholic church were the children were baptized. Were there other Irish immigrants in the church? Can you find a pattern or pocket or immigrants who came from a specific area in Ireland? I know this is time consuming! Where Did My Immigrant Ancestors Come From? | Are You My Cousin?